PRADA, South Coast Plaza, CA—Curving glass windows and glass columns adorn the Prada storefront. A pale, fluorescent green light glows from within. Mirrors line the edges of tables and shelves: it is a place of reflection, of self-remembrance, for Prada orients itself towards fostering the individuality of its clientele. Being couture, its clientele are generally individuals of the elite, yet as I walked through Prada, looking at the pieces almost as if in a museum, I realized its audience is not its clientele—its audience is every individual with an eye and appreciation for artistry. The storefront is reminiscent of a mod style—retro, yet modern. 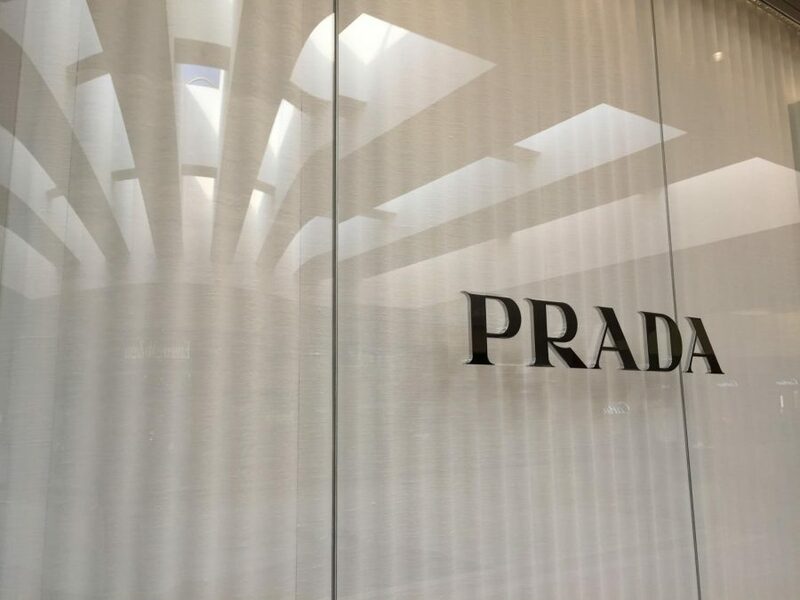 From first sight, the design of the Prada storefront is quite abstract, similar to the abstractness and geometric element of many Prada pieces. Prada is more modernized in appearance than most, in an almost mechanical way—it feels current, fresh, sharp. It is futuristic, this curving blend of glass and colored lights: to walk within, one feels they are simultaneously going back in time and stepping into the future. The manager of the South Coast Plaza branch, Josh Carroll, led me through the store, just as a curator might. Within, the colors changed from fluorescent green to white; then they transformed into tones of pink as we wound through the rooms, passing jewelry and shoes, until we came to a pink-hued room with mannequins and chairs. On the tables were huge books filled with pictures of Prada designs. Carroll invited me to join him on a pair of dark green velvet chairs, circular and mod-like. We sat across from a rack on which hung some new designs—my favorite was a pale pink silken dress with wispy mint-green feathery edges. As I wandered through Prada, I turned the pages of the huge books; I touched the furs and textures—silk, leather, velvet, cavallino. I was mesmerized by the distinctness of the pieces. I was mesmerized by the rich color which recalled vintage movies done in Technicolor. There was something of an architectural and cinematic influence—which, Carroll informed me, are two of Prada’s four pillars of inspiration. I appreciated that. The pieces felt crafted and intentional, as if each collection carried thematic weight as intensely as any other form of art. There is something decidedly ‘Prada’ about Prada—it has this electric element, this vividness, this confidence, this boldness. It is entirely unashamed; it is not often classic in its silhouette, but unconventional and explorative. It is modern, new, like a leader of the future. 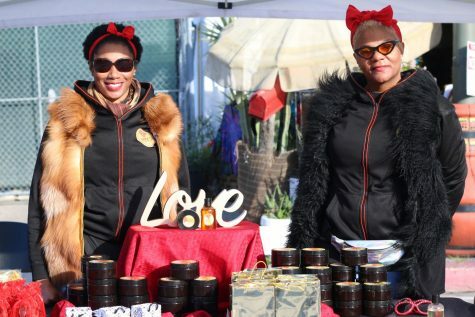 It is the creations of original, forward-thinking minds that hope to define the future through their designs and the inevitable cultural influence wrought by fashion of the present age.